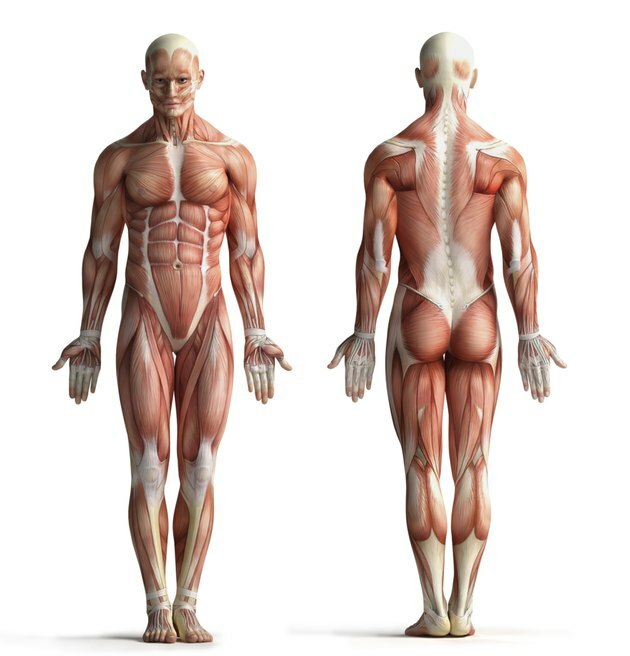 The disorder that causes rapid muscle growth occurs in people who have myostatin-related muscle hypertrophy, which is a rare genetic condition that reduces body fat and can double the body's muscle mass. The condition, which is also known as muscle hypertrophy syndrome, also can cause increased muscle strength. Myostatin-related muscle hypertrophy results from a deficiency of the MSTN gene. The MSTN gene helps the body make the protein myostatin, which is one of a group of proteins that assists the body in controlling the development and growth of tissues. Myostatin, which is active in the skeletal muscles that enable movement, normally controls and limits muscle growth. Mutations of the MSTN gene cause the body's cells to make little or no myostatin, which results in too much muscle growth. The MSTN gene and the myostatin protein were discovered in 1997 by scientists at Johns Hopkins University, who found that when the gene was disabled, they were able to create super mice with abnormally large muscle mass. Researchers continue to conduct studies and clinical trials to test new applications for the gene, including myostatin blockers for people with degenerative muscle diseases, such as muscular dystrophy. The frequency with which myostatin-related muscle hypertrophy occurs is unknown, according to the National Institutes of Health. Infants inherit an MSTN gene from each parent. A mutation in both MSTN gene copies causes significant increases in muscle and strength. A mutation in one MSTN gene copy results in a more limited increase in muscle mass. Each sibling of a person who has the condition has the potential to inherit the condition. Doctors test for myostatin-related muscle hypertrophy by measuring the size of skeletal muscle through ultrasound examination, MRI and other tests. Doctors use a caliper to measure fat pad thickness. Researchers perform molecular genetic testing for the MSTN gene. Doctors recommend genetic counseling to help families understand the inheritance pattern and what the chances are that siblings will inherit the condition. No known medical problems are caused by the condition, and people with the disorder have normal intellectual development, according to the National Institutes of Health. Do Children Inherit Their Parents' Personalities? What Are the Dangers of Finasteride With Testosterone?